On Tuesday, Reserve Bank of India (RBI) Governor Raghuram Rajan announced a 50 basis points cut in the interest rate, from 7.25 percent to 6.75 percent, in his most dovish move since taking over the reins of the RBI. With this move, Rajan has thus cut interest rates 125 basis points since taking over. This generous cut has been welcomed as an advance Diwali gift by both the government and Dalal Street. As Finance Minister Arun Jaitley said “It’s only common sense that the RBI cuts interest rates.” An analysis of Tuesday’s decision would indicate that all factors in the RBI’s policymaking framework had in fact pointed towards a well-deserved interest rate cut. India’s consumer price index (CPI) inflation has hit a low of 3.66 percent, significantly better than the RBI’s targeted January 2016 CPI inflation target of 6 percent. China’s devaluation of the yuan also provided a strong case for a competitive monetary easing of the Indian Rupee, while the postponement of the U.S. Federal Open Market Committee’s rate hike acted as a further impetus for an interest rate cut in India. Another element that plays a relatively crucial role in Indian monetary policy – and one seen in few other central banks – is data on the monsoon. According to the RBI’s fourth bimonthly policy statement, released on Tuesday, the Indian monsoon has been timely and effective, but there have been regional disparities in the supply of rainfall. The policy statement did, however, note that there would be an increase in crop production, thus contributing to agricultural price stability. When Raghuram Rajan was appointed RBI governor in 2013 he had made an open declaration of war on inflation. Initially, then, Rajan was hawkish, gradually raising interests rates from the 7.25 percent his predecessor left him to a whopping 8.0 percent. This onslaught is the reason for today’s low inflation figures. So is the battle over? Although most RBI observers expected a significant revision in inflation targets, the RBI policy statement explicitly stated that it expects inflation to rise in the coming months, and thus made only a symbolic revision to the January 2016 inflation target, from 6 percent to 5.8 percent. If general price levels remain steady, then given that world economic developments are leaving a substantial buffer in place to cushion inflation expectations, it is very likely that the RBI will outperform its inflation target. In that case, then all else being equal 2016 could see rate cuts of another 100 basis points, or at the very least a drop in real interest rates to 2 percent, which based on the Fisher equation currently stand at 3.09 percent after the RBI rate cut of 50 basis points. 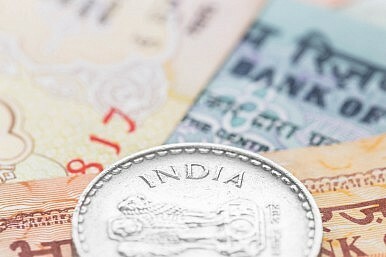 For the Indian economy to benefit from the RBI rate cut, Indian commercial banks will have to pass it on to borrowers. The fourth bimonthly monetary policy statement reaffirmed the fact that although the RBI had previously cut rate by 75 basis points, the median rate of transmission by commercial banks has been a mere 30 basis points. If India’s growth engines are to be truly lit, the RBI rate cuts have to reach the ground. For this to happen the RBI and the finance ministry will have to work together to push for a greater transmission of rate cuts by commercial banks to lenders. There are few places on earth with a brighter economic outlook than that which the Indian subcontinent enjoys. The developed world is already facing issues such as saturation, aging populations, and sluggish growth. Other emerging markets meanwhile are no longer performing as they once were, and in particular the other Asian giant, China is facing a downturn.